A.P.C sticks to its roots of simple, tailored, work-wear inspired high quality wardrobe staples, with the Albert sweater. 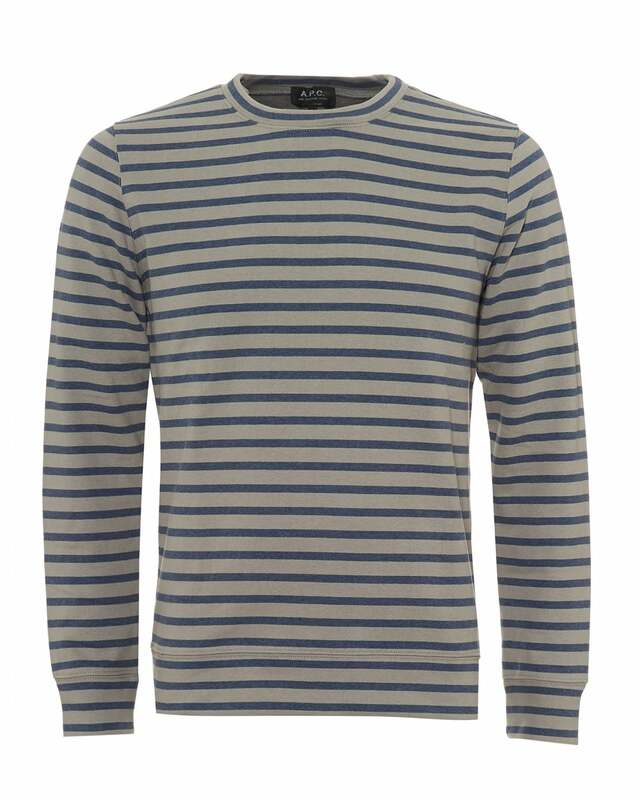 Arriving in a washed grey and blue horizontal stripe design; the jumper is completed by sewn-on wrist and hem detailing. This incorporates the well thought out production process driving A.P.C's accessibility into every modern mans wardrobe.